Golf in the Lake Winnipesaukee area of New Hampshire can be an exciting way to spend your day. You've been anxiously waiting for the snow to melt to pull out your clubs and practice your swing. Or perhaps you've come here on a vacation and want to try out the different courses. Whether you're new to the sport or you're a veteran, the Lake Winnipesaukee area in New Hampshire has many country clubs and courses to choose from. The natural beauty of Lake Winnipesaukee provides an awesome backdrop for this sport. There are plenty of courses, driving ranges and miniature putting places. According to some stories, "golf" originated as an acronym. It stands for "gentleman only, ladies forbidden." Actually, its an old wives tale. The word actually originated from Dutch and old Scots. The Dutch word is "kolf" which meant "club." When the word was passed down to the Scots it became "golve," "gowl" or "gouf." By the 1500s, the word "golf" came about. This sport is no longer considered a slow-paced, low activity game. It has become a game that many people choose to maintain physical activity. Players need strength, flexibility, stamina and coordination to improve their game. Since this is a sport that is played outdoors over a large area, people do a lot of walking. Speed Golf - This is where you run from shot to shot. 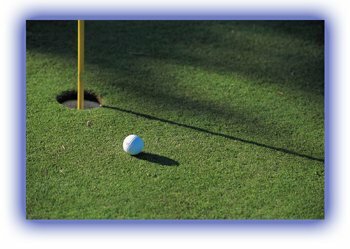 Aerobic Golf - This is where you finish the course in the shortest time with the lowest score. Adaptive Golf - These are special courses or changes in the game to fit the needs of those with disabilities. Driving Range - A place to practice repetitive strokes. Miniature Golf - A small putting green with fun obstacles for both children and adults. Pitch and Putt - A shorter version of the standard game. This game is ideal for people of all ages. It requires a course, clubs, green fees, balls and other items. There are inexpensive courses to get started on. 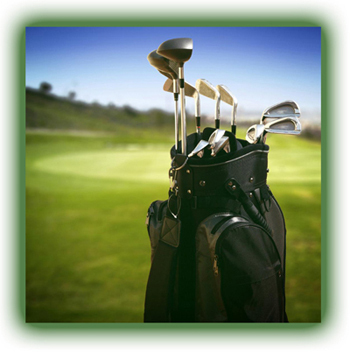 Also, either borrowing or purchasing used clubs is a less expensive way to find out if you like playing the game. It is recommended to take a few lessons to ensure you're doing things right. Clothing - you need comfortable, lightweight clothing and special shoes. A special glove is optional. Bag - to hold clubs, balls and other equipment. Balls - you need several in case you lose some. Clubs - there are 14 clubs - woods are used mostly for long-range tee shots; irons are used for close, more accurate shots. Cart - these can be rented. They are optional. Miscellaneous - tees to set the ball on to begin the shot, water because it gets hot, a jacket if it's cooler and a towel for sweat. Stroke - forward motion of a club meant to hit a ball. 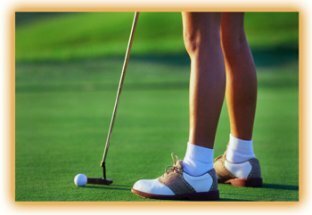 I'm sure you'll enjoy getting out your clubs and enjoy this sport in and around the Lake Winnipesaukee area of New Hampshire. If you're a beginner, I hope this information has helped you. For the veteran player, I'm sure the different courses in this region will keep you busy and you'll enjoy all your vacation getaways to the lakes region.